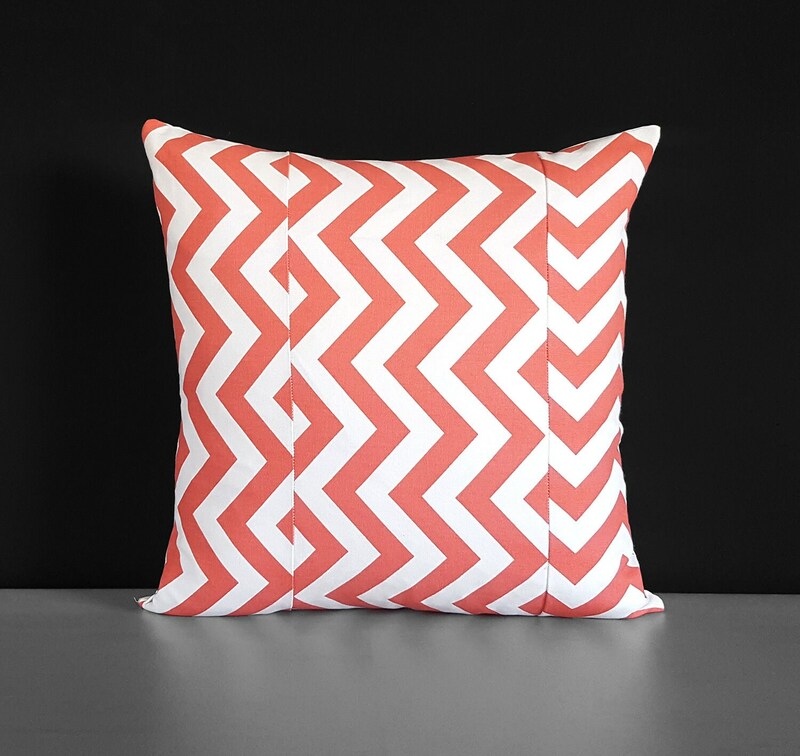 Beautiful patchwork pillow cover featuring chevron in coral and white. Other side is plain white. Invisible zipper closure, measures 18 x 18"